Nigel Mansell was leading Ayrton Senna in what was supposed to be his final grand prix (he eventually returned in 1994) when he was punted out of the race by Senna. 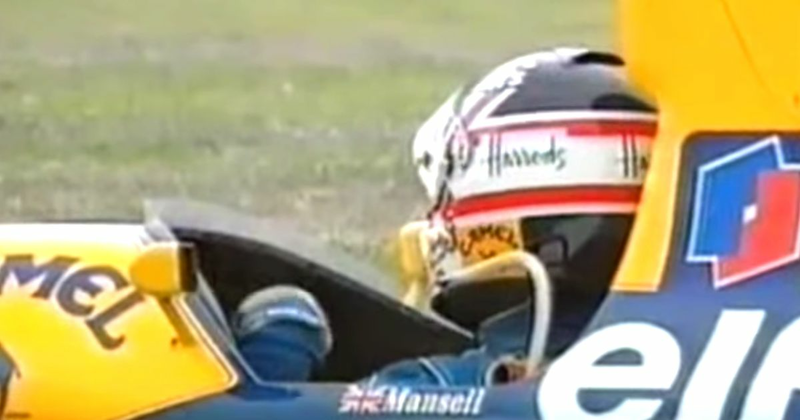 A furious Mansell slammed stewards and his own team for not taking action, saying he was glad to be out of the sport. 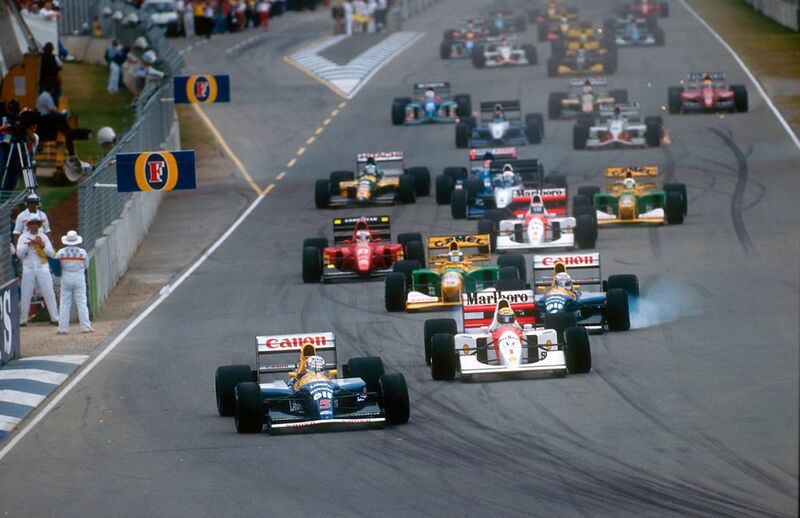 That left Riccardo Patrese in the lead until he was sidelined with engine failure, leaving Gerhard Berger to take victory just ahead of Michael Schumacher, with Martin Brundle completing the podium. Berger wasn’t too fussed about the way Mansell’s race had ended, saying the Brit “always complains”. Thierry Boutsen finished fifth for Ligier, his first points for two years and the last of his career, while Stefano Modena finished sixth to score the first and only point for Jordan all-season. 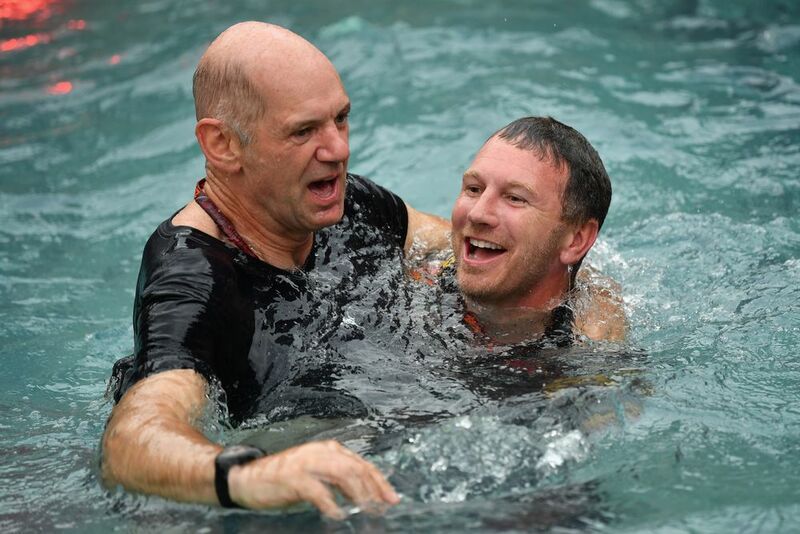 On this day in 2005, Red Bull - the funky, fun-loving team run by an energy drinks company - proved it was about more than just having a good time when it announced it had secured the services of legendary aerodynamicist, designer and engineer, Adrian Newey. Newey had been at McLaren since 1996 but left as the relationship with Ron Dennis became strained, with the team having failed to deliver a championship since 1999. Red Bull team principal Christian Horner said at the time: “given the choice of Adrian or Michael Schumacher, I’d go for Adrian every time. It’s of that kind of magnitude.” It was a great call as Newey helped to deliver four consecutive years of title success for the team from 2010-2013. Peter Arundell (born 1933) started his F1 career brilliantly with Lotus in 1964, taking podiums in his first two races. However, in the middle of the year, a nasty Formula 2 accident left him sidelined for the best part of 18 months. When he returned to F1 with Lotus in 1966 he couldn’t replicate his earlier form, scoring just one point all year and deciding to retire at the end of the season. In one of the more bizarre post-F1 careers, Arundell went on to set up a video game publishing company which made pornographic games for the Atari in the early 1980s. Giorgio Francia (born 1947) had two attempts at qualifying for a race - one for Brabham in the 1977 Italian GP, and one for Osella in the 1981 Spanish GP - but was significantly off the pace on both occasions.